Men outside of Lynch’s slave pen, 1850s. One of these men might be Lynch himself, but there are no known photos of him. Christopher Gordon, librarian at the Missouri History Museum, and Angela da Silva, professor of American Cultural Studies at Lindenwood University. 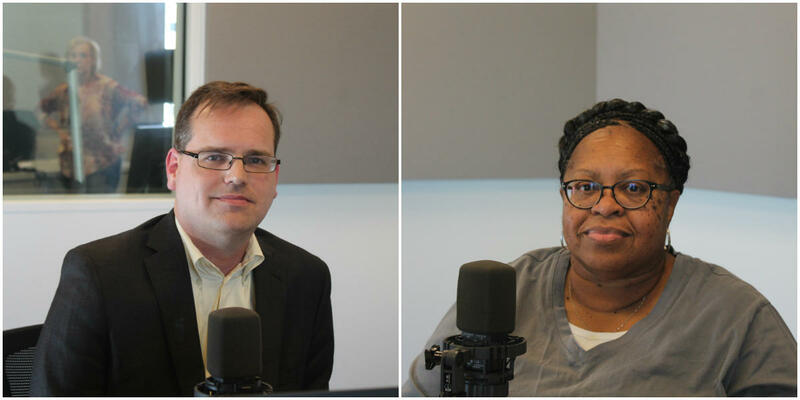 On Wednesday’s St. Louis on the Air, host Don Marsh spoke with Christopher Gordon, librarian at the Missouri History Museum, and Angela da Silva, professor of American Cultural Studies at Lindenwood University, to answer our listener’s question. The slave pen was well hidden even before it was demolished. It was located in a subbasement, so that the screaming, wailing, and corporal punishment would happen out of sight and hearing range of the people who lived nearby. How was the slave pen used? It would have held enslaved people about to be sold at auction. It would also have served as a jail cell for free people of color who violated the curfews imposed by local black codes. “If I, even as a free black, could not get off the street, I would have to sign myself in to Bernard M. Lynch’s slave pen to escape the 39 lashes for a curfew violation,” da Silva said. St. Louis on the Air host Don Marsh talked with Christopher Gordon and Angela da Silva about Lynch's slave pen, and the history of the slave trade in St. Louis. In 1861, Union troops entered St. Louis and seized the city’s slave markets, and Lynch’s slave pen was used to hold Confederate sympathizers. At one point, Lynch himself was imprisoned in his own jail cell. Bernard Lynch’s cashbox. 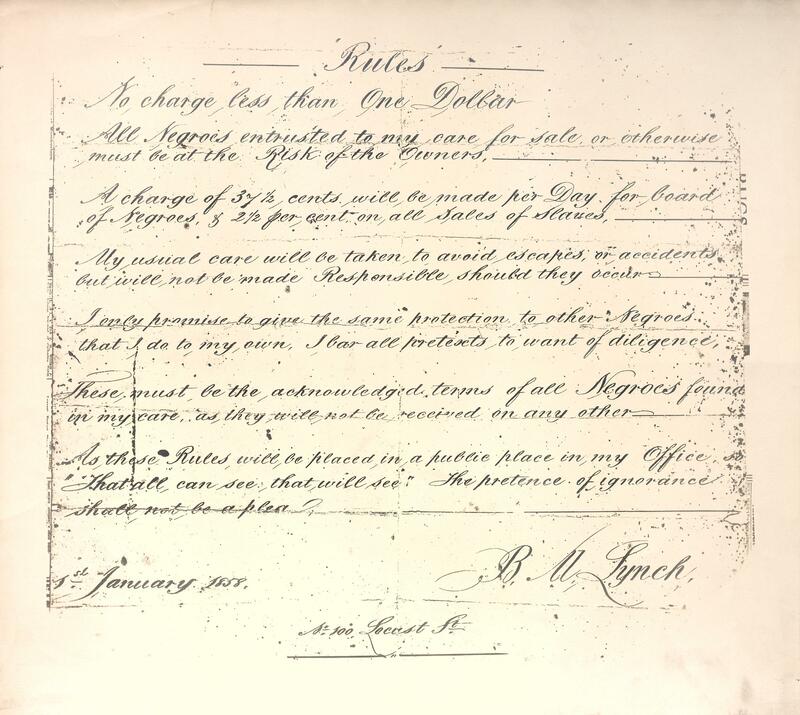 When union troops seized slave markets in St. Louis, Lynch fled, leaving everything in his office behind. His assistant saved his cashbox, which is now in the Missouri History Museum collection. After his release, Lynch fled St. Louis and wasn’t heard from again. He left everything in his office, including his cashbox, which his clerk saved. The cashbox is now in the Missouri History Museum collection—the only physical object from Lynch’s business that survives. 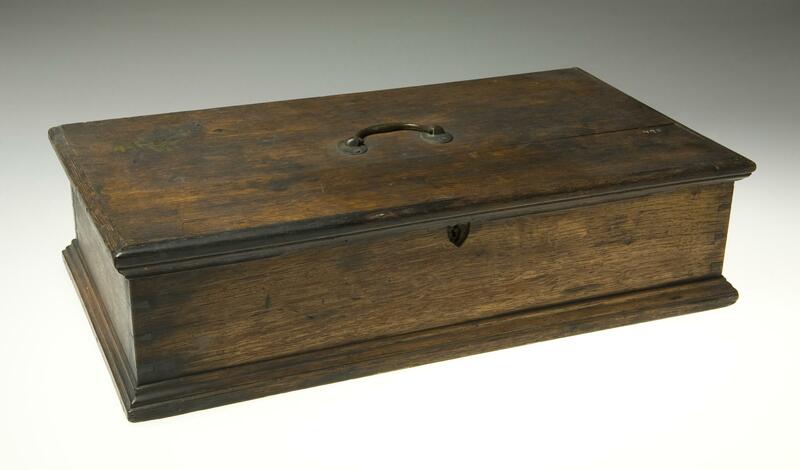 Lynch’s cashbox was displayed as part of the museum’s Civil War in Missouri exhibit in 2011. It is not currently on display. This article first appeared in the St. Louis Beacon: There are good reasons to visit the new "Lee and Grant" exhibition at the Missouri History Museum, beyond the spectacular Civil War objects and artwork that will be on display, said museum president Robert Archibald.